Situated along Mablethorpe’s six miles of blue flag award winning beaches there are over fifty beach huts available for weekly, daily and seasonal hire! Head to the award winning Blue Flag beaches of Mablethorpe for the best in family beaches where you can be sure of miles of beautiful sand and excellent water quality. With over eight miles of stunning, blue flag award-winning sandy beaches and views to die for – why not book a space by the sea? As well as being a busy seaside resort the area also has one of the largest areas of unspoilt coastline in eastern England with some of the best national nature reserves and sites of specific scientific interest in the country. 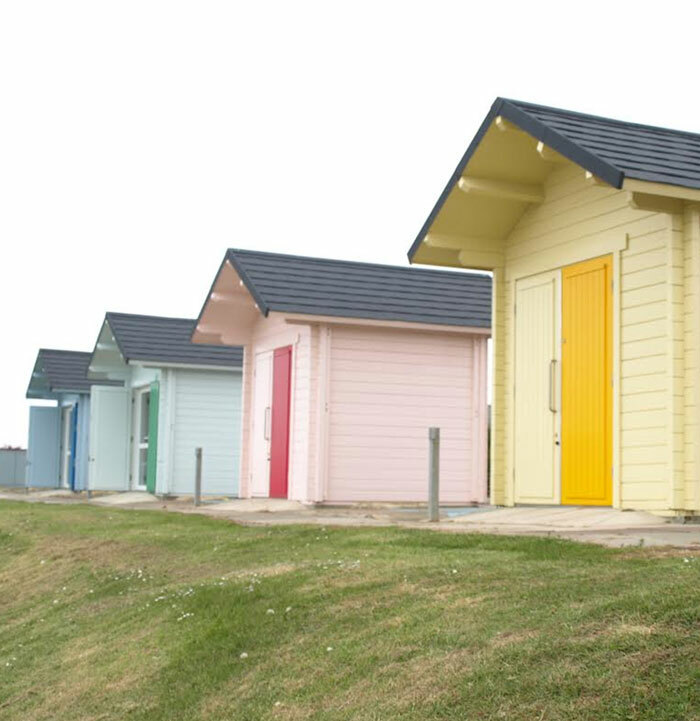 These newly refurbished beach huts are situated between the main beach pullover access and the RNLI station. Mablethorpe town centre is only a 5 minute walk away making the huts ideally located for access to restaurants, take away outlets, ice cream kiosks and shops. This location is also ideally situated for those wanting to visit seafront attractions; with the funfair, crazy golf and outdoor amusements just a short walk along the promenade. 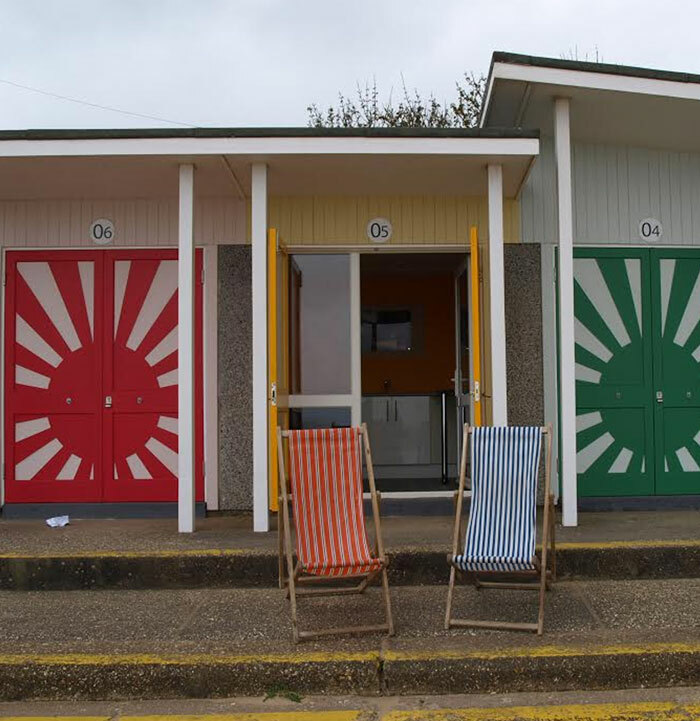 Lifeguards patrol from June to September, keeping our beaches safe; public toilets operated by East Lindsey District Council are also adjacent to the huts. 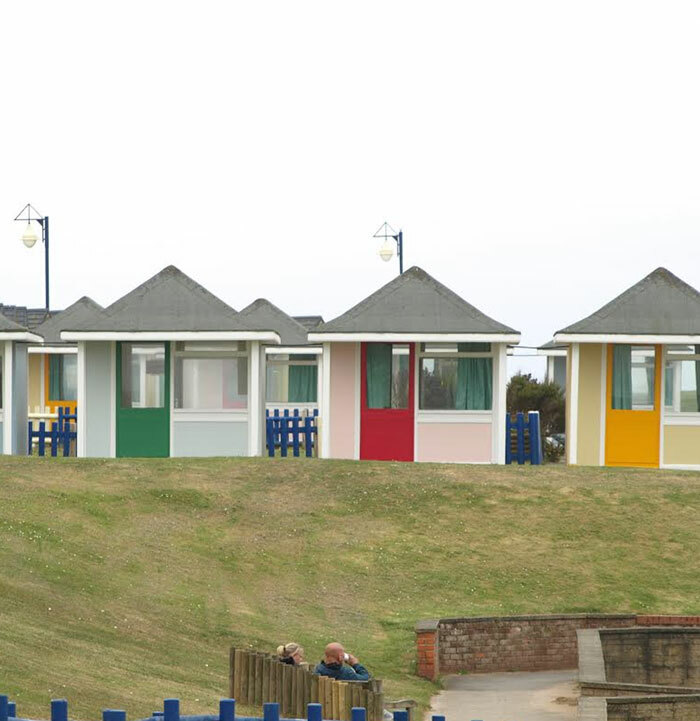 The beach huts at Queen's Park have been given an outside makeover for the 2017 season and are situated on the coastline above Queen's Park in Mablethorpe. The huts are located in a quieter area of Mablethorpe offering stunning views of the coastline and an off-shore wind farm. Nearby café facilities are available on both the promenade and Queen's Park which also boasts a boating lake, refurbished paddling pool, golf putting green, bowling green, tennis courts and miniature railway. Public toilets operated by East Lindsey District Council are also available in Queen's Park. Views to die for... Book your space by the sea! No need to bring your plates and mugs when having a picnic at our huts. Sit back, relax and enjoy a cuppa by the sea. Our huts provide the sea side luxury of a traditional set of deck chairs. Keeping that sand out can be hard! Simply select your preferred dates or choose from our available huts to get started. Online bookings available for daily or weekly huts. To view our location and layout download our plan here. Low Season starts March until end of May. Medium Season starts 1st June until 9th August. High Season starts 10th August until 30th August. Low season from 31st August until 4th October. Winter season from 5th October until March the following year. * From 2pm-9pm. Not available to book online. Winter Bookings also available at £6.10 per day. We have fantastic seasonal rates available for our huts. If you'd like to talk about our seasonal bookings please contact the office. The Town Council has committed to the general operation, management and future investment in the huts to support and boost the tourism industry within the parish and to ensure they remain as part of the landscape for years to come. The District Council enforces Dog Control Orders to stop problems caused by dogs in public places. Over fifty beach huts available... Book now! Payment - Your hut has been reserved. You have 15 minutes to make your payment and you must return to this site to ensure your booking is successful. Enter your E-Mail address so we can send you a receipt and your order details. Please tell us your name and a phone number that we can contact you on, in case we need to get in touch about your booking. By clicking the payment button below, you will be taken to our payment service to make a payment of £. Once payment is accepted you are bound by our terms and conditions which can be found Here. If you do not wish to bound by these terms please press the cancel button below. Your email address and other personal details are kept safe and will not be given to any 3rd party company. Your data will be processed in order to execute your booking, to ask for feedback and for future bookings. Note: If you do not receive a booking email to your main inbox then can you please check your junk email. The site is currently under going maintainance and it's not possible to book online at the moment. Please use the contact form below to get in touch with us as we can still take bookings over the phone/email.